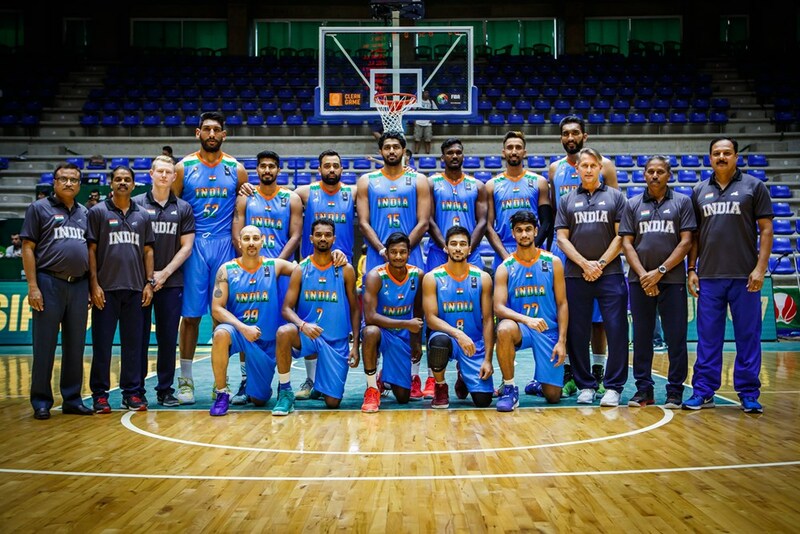 India’s campaign at the FIBA Asia Cup 2017 tipped off today, after months of hype and excitement over the prospect that India’s time on the international basketball stage has finally arrived. This team has been called India’s best in recent times (possibly best ever), led by our very own ‘Big 3’ of Vishesh Bhriguvanshi, Amjyot Singh Gill, and Amritpal Singh. Sweetening the deal was the return of NBA draftee Satnam Singh, and fans have been itching to see how it all comes together. Perhaps it was the weight of expectations, the pressure of starting a major tournament against a heavily favoured Iranian team, or just the indifference caused by having to play before empty rafters: when the Indian team finally stepped on to the court in today’s game against Iran, they struggled to generate any rhythm. Early on, the game plan was to use the 3 – 2 zone defence to contain Iran’s offence; after all, Iran are ranked 25th in the world, they won the FIBA Asia Challenge 2016 in comprehensive fashion, and beat India by 22 points en route to a third place finish at the FIBA Asia Championship 2015. But a plan is only as good as its execution, and poor defence and organisation allowed Iran to spark an early 18 – 2 run. Thereafter, they never looked back: penetrating the paint at will and continuing to shoot the ball well. In contrast, the Indian men struggled to make their shots, or string together any plays that were capable of finding the open looks. Too often they resorted to taking contested jump shots, a tendency that even India’s big men were guilty of. Amritpal Singh has been drawing plaudits for his contributions while playing for the Sydney Kings – racking up double doubles and dominating the boards – but his post game was all but missing today. In the final analysis, India’s performance was summed up by the fact that talismanic scorer Amjyot Singh led the team with only 10 points. Before the game, there was widespread speculation that Iran’s superstar Hamed Hadadi would not be fit to start the game, and finding his name on the team sheet before the tip-off would not have helped any fraying nerves. The 7ft2” centre is an imposing presence in the paint, and he honed his craft during the five seasons he played in the NBA (for the Phoenix Suns and Memphis Grizzlies). 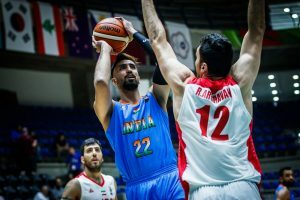 On paper, the Indian team has a giant NBA star of our own in Satnam Singh, and going into the tournament, the matchup between Satnam and Hadadi was touted as the ‘Battle of the Behemoths’. But alas! Hadadi waltzed through the game – serving up the highlight dunks and fadeaway jumpers – while Satnam failed to the put the ball in the hoop. Hadadi racked up 20 points and dished out 8 assists, only serving to remind Indian basketball fans what we wish Satnam could be. Realistically, this fixture against Iran was always going to prove difficult, and the Indian men will only be disappointed by the ease with which they succumbed. Dissatisfied murmurs in the run-up to the tournament, centred on late arrivals and inadequate preparation, may have served to predict the disarray with which India have started the tournament. Nevertheless, it is hard to doubt the pedigree of the team’s stars and the potential of the youth. Indian basketball fans will be hoping that the team finds its groove when they play Jordan on Friday. The Indian men play their second fixture against 28th ranked Jordan on 11th August at 1830 local time (2100 IST). They close out the group stages against Syria on 13th August at 2100 local time (2330 IST).